If you have had an experience with the paranormal or want to, this is the place for you. 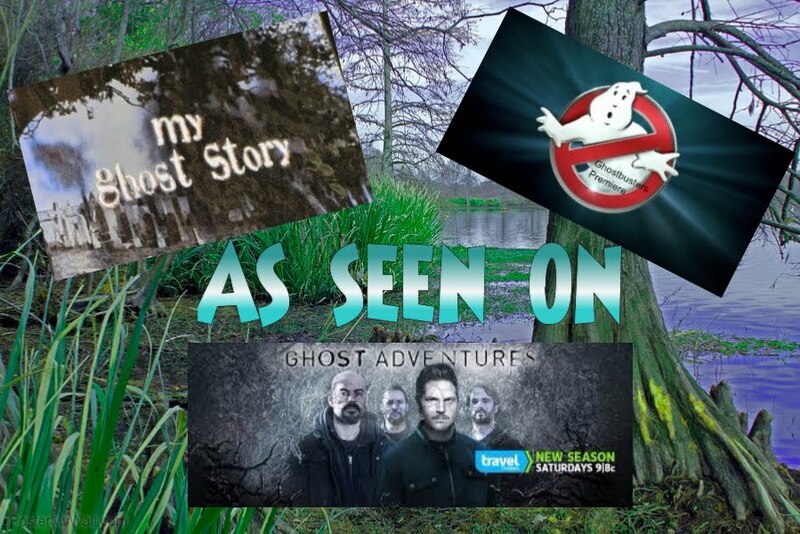 You will find ghost stories,unexplained pics, inexpensive ways to investigate a haunting, ghost hunting tools and equipment for your everyday Ghost Hunter. No fancy equipment required. Spirits and the whole "after life" has been questioned for centuries. Lets see if together, we can't come up with some answers. Take a haunted ghost tour with me to Goatman's Bridge! Evil never was so kind. Behind Every Cloud is a Kindred Spirit (BECKS)I lost my grandfather when I was 17. I had a VERY difficult time getting over it. How could I still communicate with him? I loved him so much I didn't think I could live without him. I read everything I could get my hands on to do with the "afterlife" and that started it all...the love of Ghost Hunting and the Paranormal. I have been researching the paranormal for over 37 years!! It is my way of staying in touch with my grandfather. Being a Ghost Hunter is not always as exciting as it seems on TV. Many nights I have sat in the dark and not a thing happened. BUT it is those times you DO get that one voice, that one explainable picture or have an experience that sends chills down your back that makes it sooo worth it all!!! 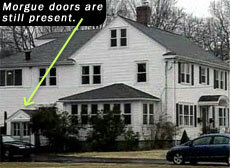 My purpose of this blog is not to make people believe in ghosts but maybe to open their minds just a little bit... I LOVE this crazy thing called Ghost Hunting. It is as much a part of me as breathing. I am just a girl that refuses to accept we can't still contact our loved ones after they die. My grandfather won't let me. 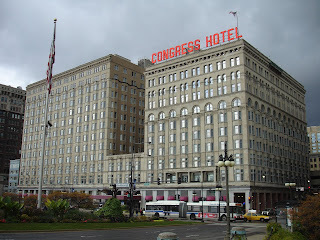 If you have not stayed at the Congress Hotel in Chicago....you should!!! It is reportedly the most haunted hotel in the city. I was lucky enough to get a room at this hotel to do an investigation as a Christmas Present from my boyfriend and I loved every minute of it!!! I was also lucky enough to have one of my FAVORITE paranormal groups White Dog Paranormal to meet me there. We had a great time! Ok....I know, you guys don't care about all that....you just want to know if we saw any GHOSTS!!! First here is a little bit about this wonderful place. It was built to help house visitors of the World Fair in 1893. It was also owned at one point by the one and only Al Capone. Supposedly the most haunted floors are the 4th and the 12th(I stayed on the 12th). Some of the spirits roaming this place is none other than Al himself along with a mother and two sons, whom supposedly was waiting for the arrival of her husband and when she found out he wasn't coming, she through her two boys over the 12th floor balcony and then jumped herself. Then there's Peg Leg Johnny, a hobo that was murdered in the hotel. And the MOST HAUNTED ROOM OF ALL #441. YES, I did request to stay in that room but was told the whole 4th floor was closed! Of course, we had to go check it out ourselves and found that the 4th floor was completely dark! Did we leave......of course not!!! We just sat down in the floor, in the dark and started conducting an EVP Session. ﻿When you start asking questions about the spirits that haunt the hotel you will find out quickly that some of the people DON'T want to talk about it, but a couple of the bell hops were willing to share their stories. We were lucky enough to meet Johnny the late night security guard who has worked at the Congress for about 18 years. At first, he wasn't willing to talk, but he couldn't resist my Texas accent!!! LOL He eventually warmed up to us and took us on a tour all around the hotel and to places we normally wouldn't have access to. THANK YOU JOHNNY!!!! He told us story after story of paranormal activity. Even as recent as the week before we were there, of people leaving their rooms claiming things were moving, they were touched, etc. After we left Johnny, we investigated on our own. Yep...you guessed it, we went places not many people could or WOULD not go. We had a lot of activity in a little stairwell we found behind an unmarked door. Be sure and watch the video I am posting of that session. You DON'T want to miss it!!! Creepy stairs leading from the 12th floor. Room all boarded up. hhuuummm??? Wonder why? Room #666 Completely covered over! HEAR WHAT ZAC HAS TO SAY ABOUT GOATMAN'S BRIDGE!!! THE REAL HAUNTING IN CONNECTICUT IS EVEN SCARIER THAN THE MOVIE!!! SIGN UP FOR A TOUR TODAY!!! THE LUXOR IN LAS VEGAS IS HAUNTED!!! WHAT HAPPENED TO ME TO MAKE ME A BELIEVER!!! THE KINECT SLS CAM-CAN IT REALLY DETECT GHOST SO THAT WE CAN ACTUALLY SEE THEM??? SEE WHAT OURS CAPTURED AT AN ABANDONED CEMETERY!!! YOU TELL ME?? ?